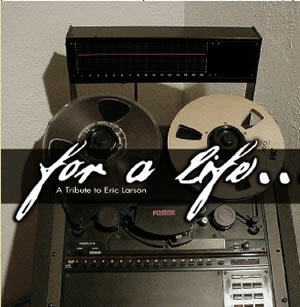 Tribute CD Project "For A Life"
The Eric Larson tribute album CD titled "For A Life" is still available for purchase. 100% of all proceeds from the sale of this CD go directly towards the Eric Larson Scholarship Endowment Fund at the University of New Mexico Fine Arts Department. Please help support a worthy student's scholarship toward their music degree at UNM! We will be adding a shopping cart very soon for web purchases of this CD. Note: CD Purchases are NOT tax deductible. Cick on the first "drop down arrow" and select Eric Larson Endowmwnt.